I wanted to create a project that represented just that. So I came up with a few fabric headbands. Jo-Ann makes spring crafting easy during National Craft Month with a $5 off $25 or more coupon and a spring crafting inspiration website to help you create that wonderful spring project. I know it’s nothing new but who doesn’t like headbands? Especially when they are so easy and fun to make. 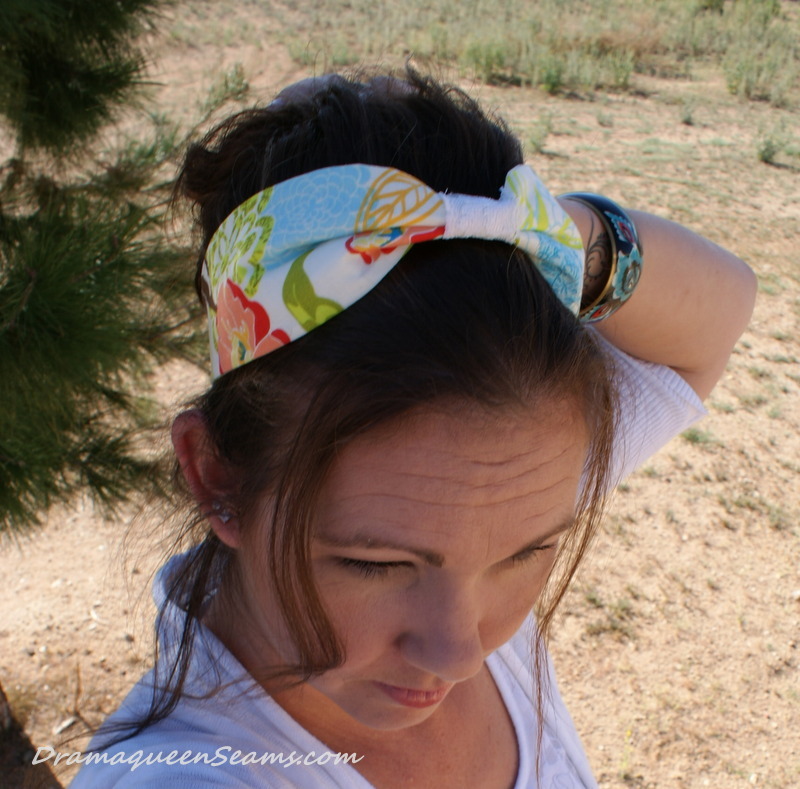 I cut out a wide headband shape out of freezer paper to use as my pattern. Pinned it to my fabric of choice and cut out 2. 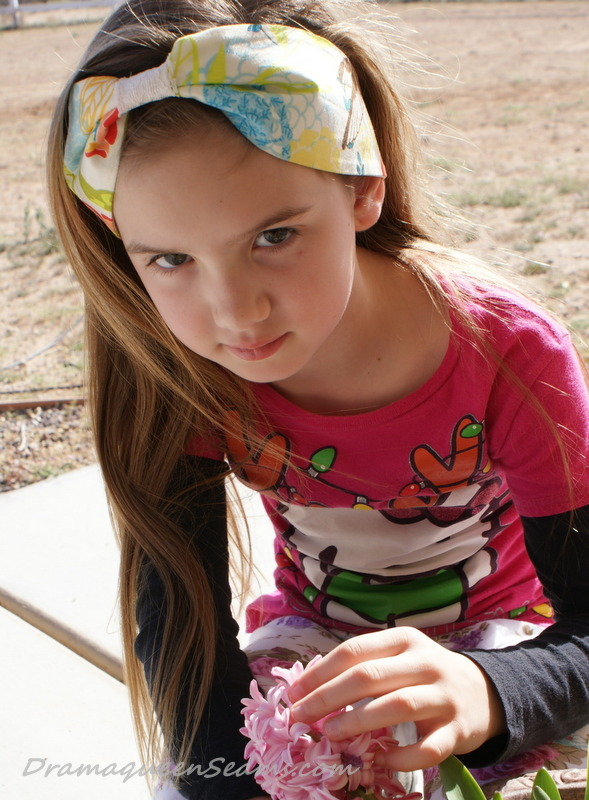 Then applied fusible interfacing to the wrong side of only one headband section. Also pressed under 1/4″ on each end of the headband. Stitched my contrasting color fabric to the center of my headband just for an added extra embellishment. Placed right sides together of both headband sections, leaving the ends open. Turn it right side out and press. 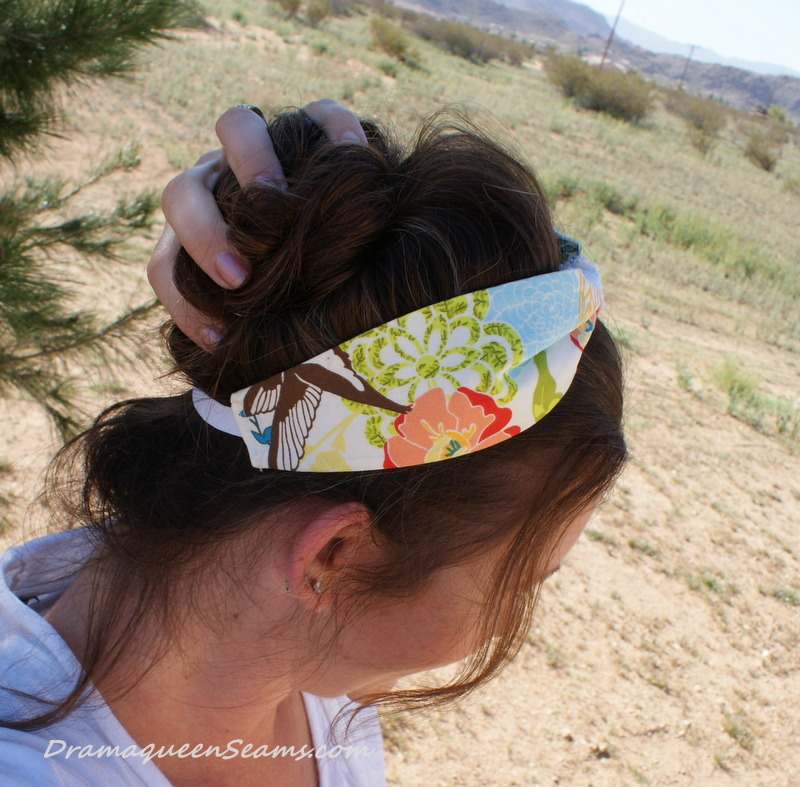 I cut a piece of elastic 5″ long and placed it inside one end of my headband. Stitch across the end making sure to catch the end of the elastic. Pin the other end of elastic with a safety pin and try it on and adjust fit. 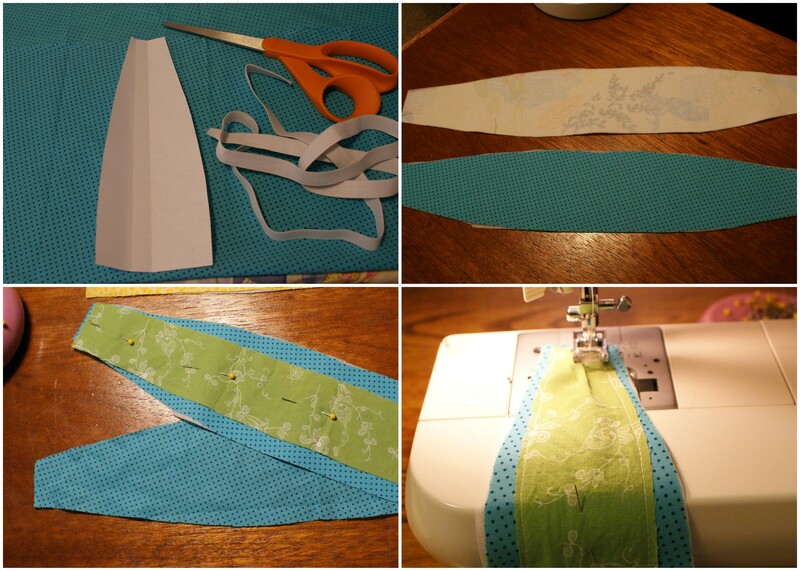 Place other end of elastic in and stitch in place. 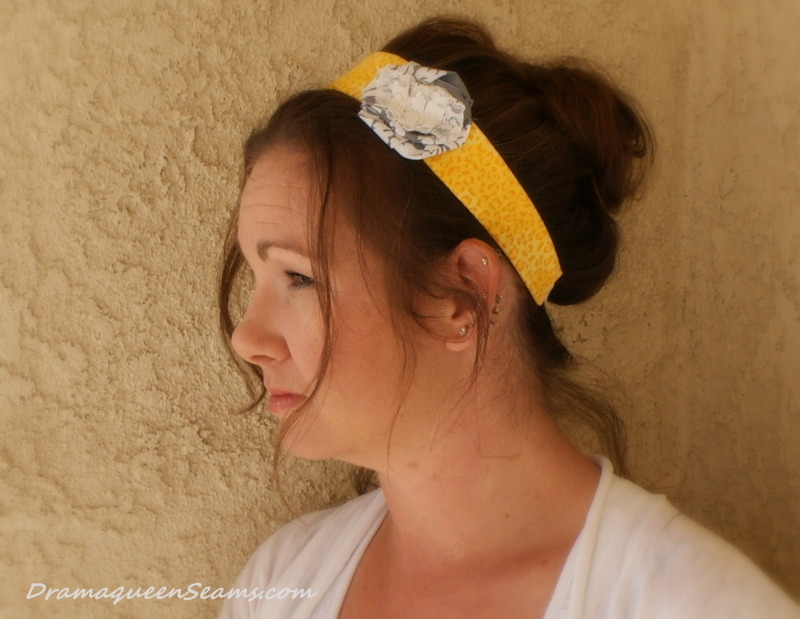 For this headband I made a small 2″ tab and some lace to pleat in the center of my headband. 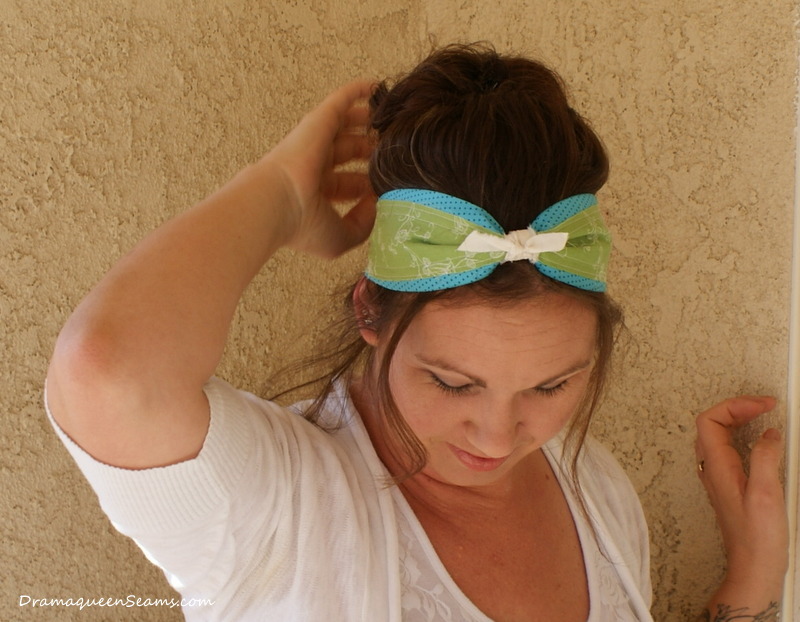 Wrap tab over headband and stitch in place through all fabric. The other pleated headband was folded the same was except I ripped my cotton fabric to get a frayed look. Then just wrapped it around a few time and tied it in a knot. As for the flower that was just sewn to the top of the headband. 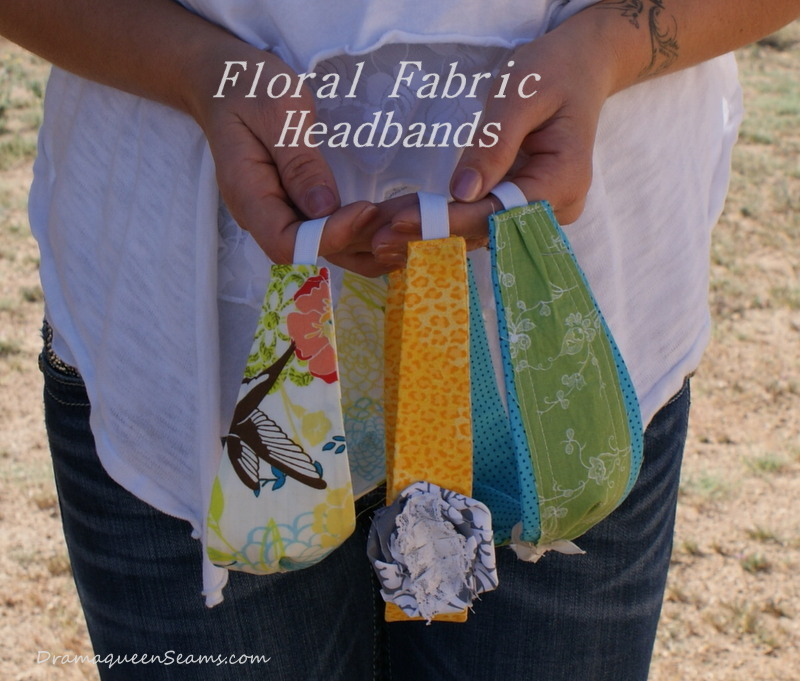 You can find instructions for fabric flowers here. 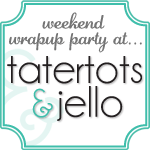 All of my fabric and supplies for this project were purchased at Jo-Ann Craft Stores. 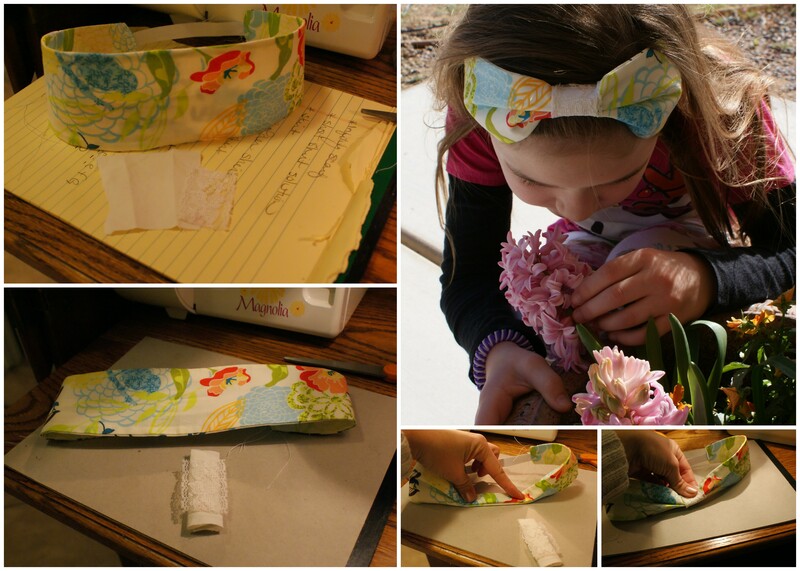 The following review is part of the Jo-Ann Fabric And Craft Stores National Craft Month campaign. I received compensation for this review; however, this is my personal, honest opinion based on my experience.